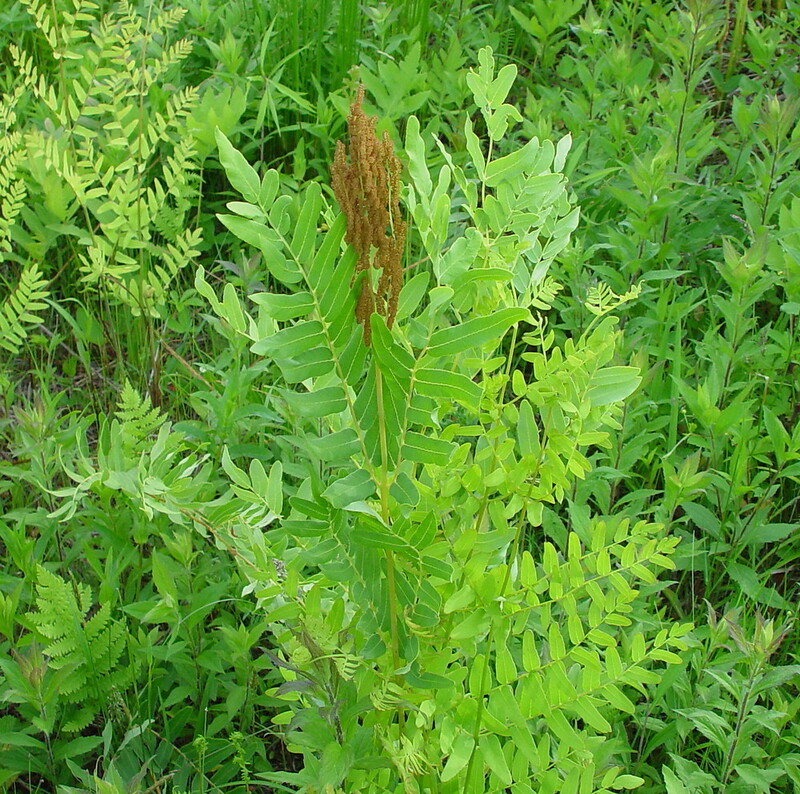 Osmunda regalis. (plant with sporophylls). By Arthur Haines. Copyright © 2017. New England Wild Flower Society. gobotany.newenglandwild.org (Accessed 4/2017). 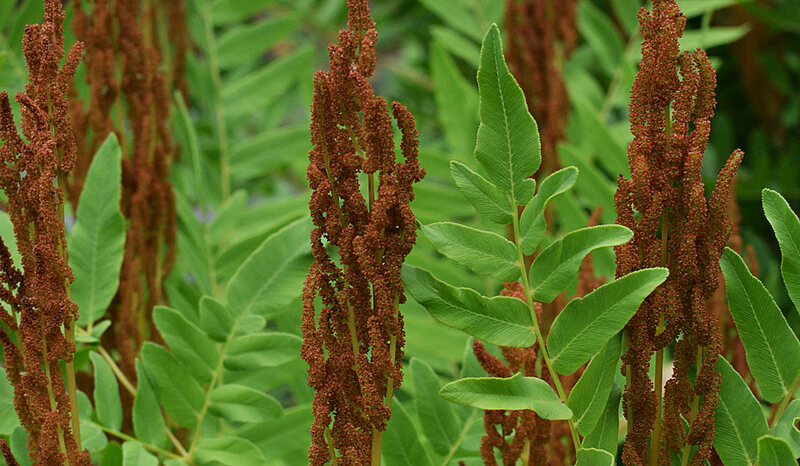 Osmunda regalis is a fern from a thick rhizome that often forms black, wiry mounds of old stalk bases; emerging fronds reddish or waxy. Leaves in rosette-like clusters; 50-180 m long, stalks blackish, wiry, blade to 50 cm wide, twice pinnate, coarse, leaflets (pinnae) 5-7 per side, ultimate leaflets widely spaced, 7-10 per side, to 7 cm long, 2 cm wide, stalkless, rounded at both ends, margin minutely toothed. Osmunda regalis (royal fern) sporophylls. Barrie Collins © Copyright 2016. landscapesofus.com (Accessed 4/2017). Spore cases greenish, becoming brown, to 11 cm long, 0.3 cm wide, at tops of some fronds, spring- early summer. Habitat: Wet to saturated soil of undisturbed, swampy woods, open stream sides and marshes in acid soil. Found in soil pH 6.2 (Gargiullo unpublished data). Appears to require more light than O. cinnamomea (Gargiullo personal observation). Notes: A host of the white-spored fir rust Uredinopsis osmundae (a fir-fern rust, Basidiomycotina) (Sinclair et al. 1987; Bailey et al. 1976). *Not actually flowering. A common name for the family Osmundaceae or ferns with showy sporangia.